Quicken Loans, the nation’s largest mortgage lender, believes that small businesses are the backbone of the local economy. If our small business ecosystem thrives, our community thrives. That is why they are focused on helping entrepreneurs in Detroit start, grow and scale their businesses through events like Quicken Loans Detroit Demo Day. 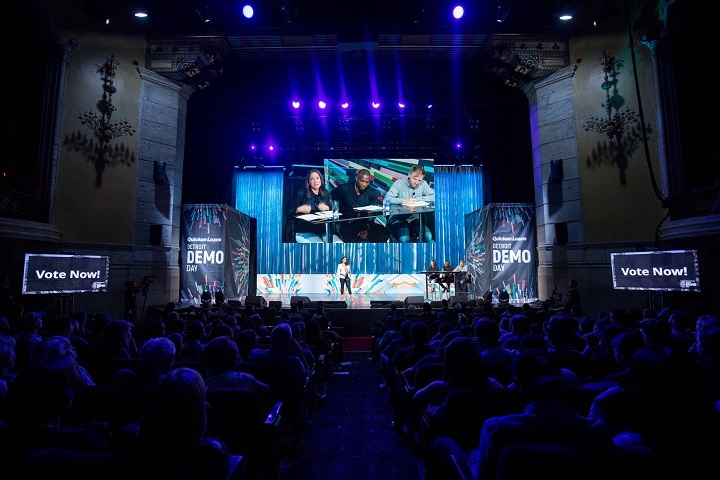 This year, the 3rd Annual Quicken Loans Detroit Demo Day is poised to award $1.2 million in funding to local entrepreneurs this summer. Applications for the pitching competition opened up last week, allowing local small businesses and startups to apply to participate in the event. Fifteen companies selected from a pool of applicants expected to exceed 500 will pitch their company at the June 14 event in front of a live audience and a nationally-acclaimed panel of judges. Winners will receive funding to help grow their businesses. There are three categories for funding: Start, Grow and Scale. Each corresponds with how established the company is, what its goals for expansion are and the amount of revenue it generated in 2018. Start and Grow will each have three winners, and Scale will have one. There will also be “People’s Choice” grants, where the audience votes for their favorite company in each category. For those in the Start category, $100,000 will be awarded to the winner, $75,000 to second place and $50,000 to third, and the awards are to be used to aid in introducing their products or services to the market. Those in the Grow category will have the opportunity to win $250,000 for first place, $200,000 for second place or $150,000 for third. The awards are meant to help these more established businesses expand locally. The Scale winner will receive $300,000 to help in their goal of expanding nationally. In addition, each People’s Choice grant winner will receive $25,000. Six businesses each will pitch in the Start and Grow categories, while three will pitch for Scale. At the event, which will take place at The Fillmore in downtown Detroit, each company will present a 90-second business pitch. Finalists will be able to develop and practice their pitch with the Quicken Loans Detroit Demo Day team ahead of the competition. Participating businesses must be Detroit-based or willing to relocate to the city. For more information on the eligibility requirements, or to submit your application, head to the Quicken Loans Detroit Demo Day website. Applications are open until April 22 at 11:59 p.m. ET.